Walter Foster Drawing & Painting Kits make it easy for adults and teens to learn basic drawing & painting skills at home. 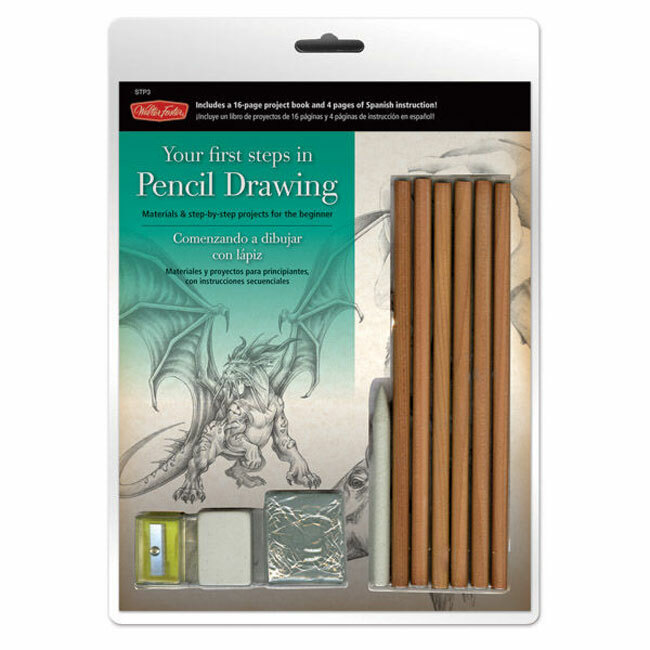 These complete art kits include the tools, supplies, and instructions you need to get started drawing & painting with confidence. You'll find them in the Paint & Draw Art Kits section of the store! 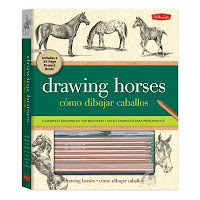 The Drawing Horses Kit includes a 32-page project book, drawing pencils, charcoal pencil, blending stump, acetate grid, sandpaper block, round paintbrush, black watercolor paint, rubber eraser, drawing paper and sharpener. Six drawing pencils of varying hardness provide the artist with a range of tones from light to dark. You'll learn how to use all the tools & materials contained in the kit. 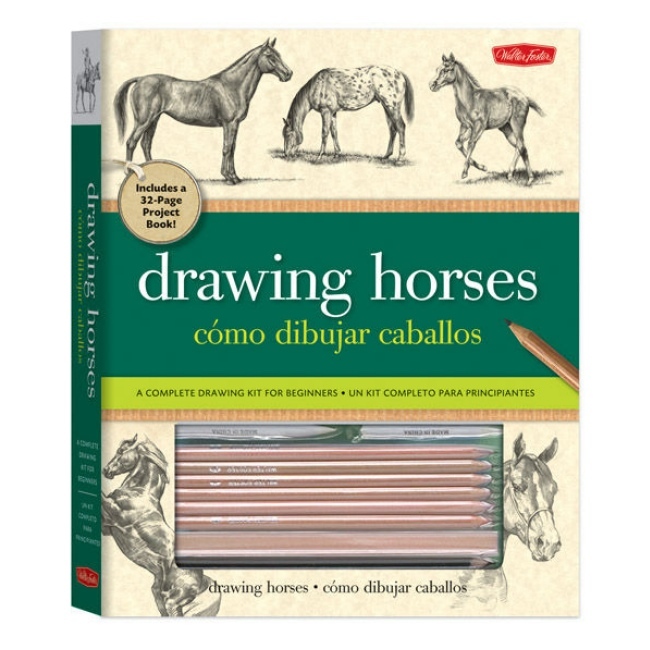 The project book starts with basic drawing skills and then moves on to teaching about horse anatomy, proportion, and techniques for drawing horse features. After the basics, you'll apply your new skills to step-by-step drawing projects, including instructions & illustrations for drawing a variety of horse breeds and poses. The Your First Steps in Pencil Drawing Kit is from Walter Foster's new line of introductory art kits for beginner artists looking for an affordable starter option. Beginner drawing set includes pencils, sharpener, tortillons, kneaded eraser, rubber eraser, paper, and project booklet. You'll learn basic pencil drawing skills & techniques by following the four step-by-step drawing projects included in the booklet. 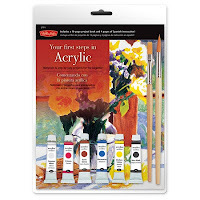 The Your First Steps in Acrylic Painting Kit is an ideal art starter kit for anyone wanting to give acrylic painting a try. Beginner painting kit includes acrylic paints, paintbrushes, art paper, and project booklet. Learn basic acrylic painting skills and techniques by following the four step-by-step painting projects included in the booklet. 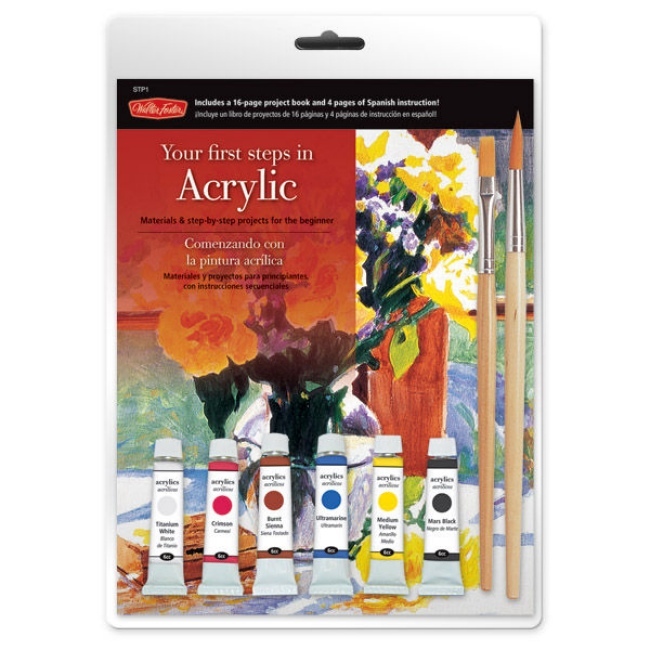 The Your First Steps series also includes a Watercolor Painting Kit. The smaller size of these starter kits makes them an ideal option for anyone wanting to try a new art medium. They're also a creative gift giving idea for aspiring artists. Visit the Paint & Draw Art Kits section for details on these kits and to see our complete selection of drawing & painting art kits for adults, teens, and kids. Explore a variety of art project ideas! Weekend Kits offers a unique selection of DIY Art & Craft Kits for beginners of all ages. Our goal is to help make crafting convenient, easy, and fun for all skill levels! Stop by today and be ready to start drawing & painting on your next Weekend at Home.